Loaded baked potato soup is a dinner staple in my household. Since it can be a challenge to get my family to eat their vegetables, I decided to try something new. Instead of using white potatoes for our soup, I substituted cauliflower florets. This loaded cauliflower soup recipe will have even the pickiest eaters asking for seconds. Cauliflower is a vitamin powerhouse, and when cooked in and blended with vegetable broth it makes the creamiest base for a healthy sauce or soup. I used my favorite tried and true ingredients for the rest of this hearty soup: cheddar cheese, turkey bacon, chopped onion, and chives. I also substituted almond milk for my usual half and half. 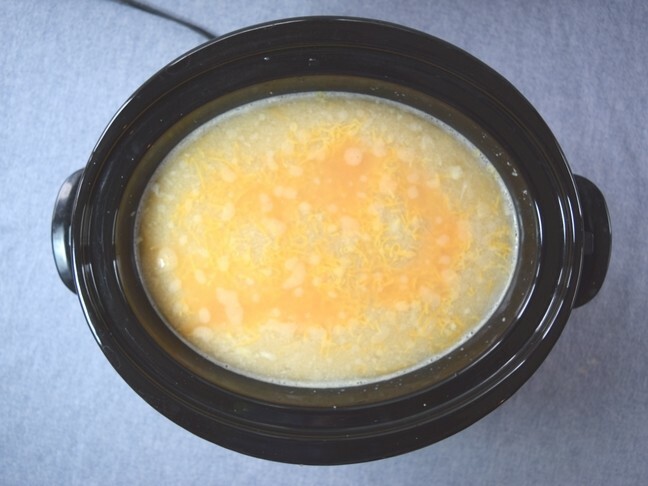 The best part about this recipe is that you will use your slow cooker after bringing your cauliflower and broth base to a boil and prepping the rest of your ingredients. I found that transferring small batches of cauliflower to a blender was the easiest way to have the mashed potato-like base that I was hoping for. RELATED: 101 Canned Soup Hacks – “Homemade” Meals in Minutes! Cauliflower is a vitamin powerhouse, and when cooked in and blended with vegetable broth it makes the creamiest base for this sinful tasting soup. Step 1: Pour your vegetable broth into a large pot and bring to a boil. 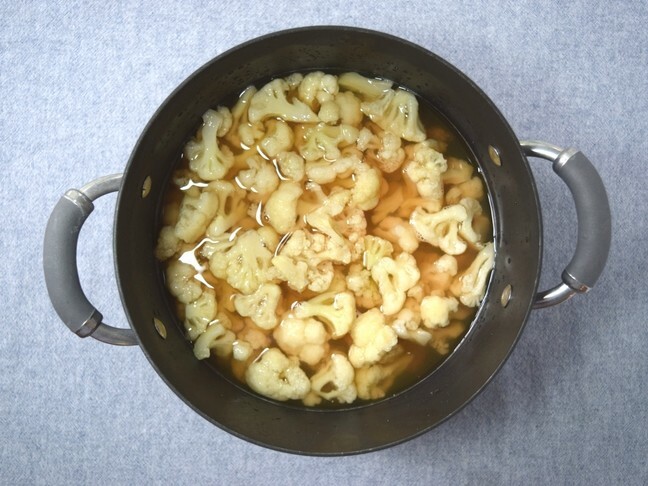 Then, add frozen cauliflower florets and bring to a second boil for 6 to 8 minutes and let cool on the side. 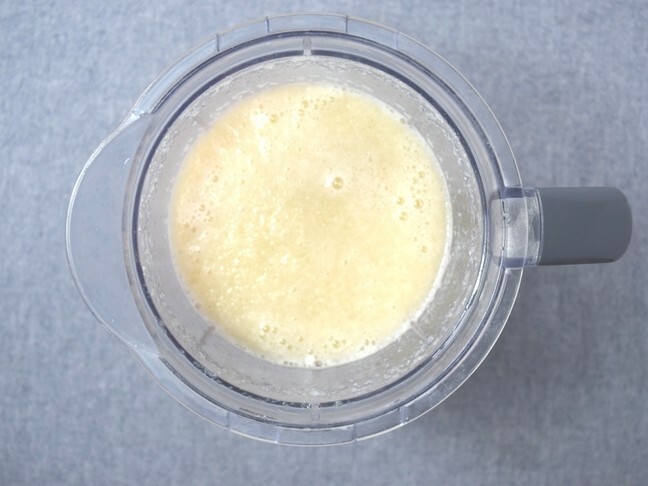 Step 2: Carefully pour cauliflower and broth into a blender and blend until smooth. Then, pour the blended cauliflower into your Crock-Pot. 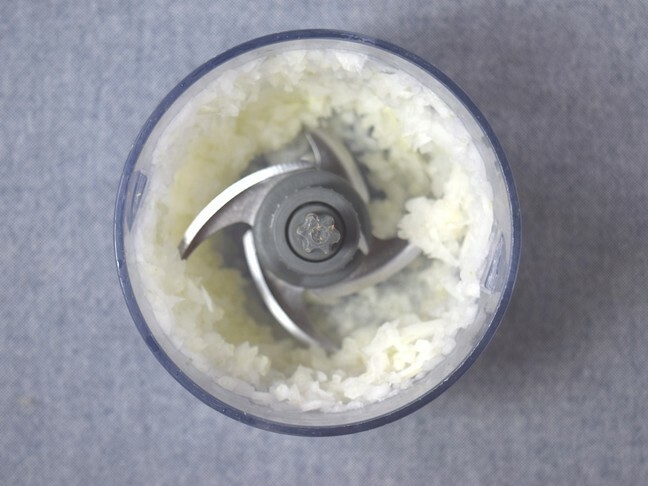 Step 3: Chop your onion by hand or use a food processor and add to your Crock-Pot. Next, add your garlic, adobo seasoning, ground pepper, and cheddar cheese. Step 4: Cook on high for 1 to 2 hours or on low for 3 to 4 hours, stirring every hour or half hour depending on your Crock-Pot setting. 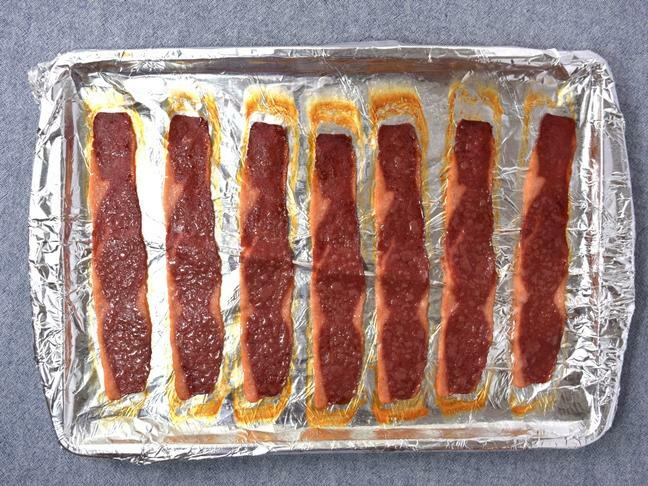 Step 5: While your soup cooks, place your turkey bacon into the oven at 350 degrees for 10 minutes or until crispy for garnish. Step 6: When you’re ready to serve, stir in your almond milk and add more cheese if you’d like. 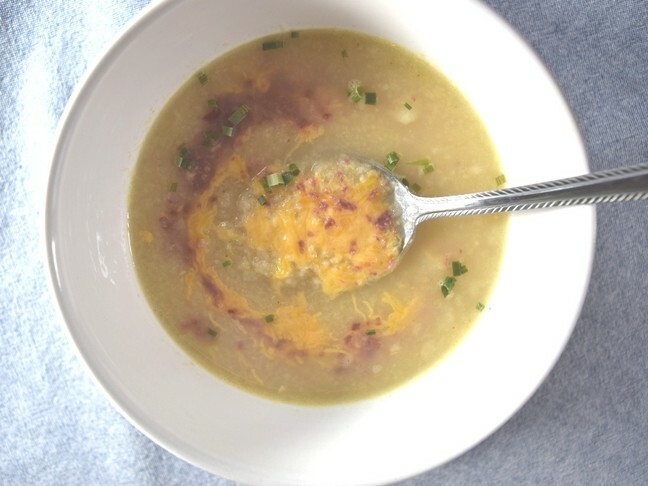 Step 7: Pour your soup into large bowls and garnish with crushed turkey bacon and a sprinkle of chives.